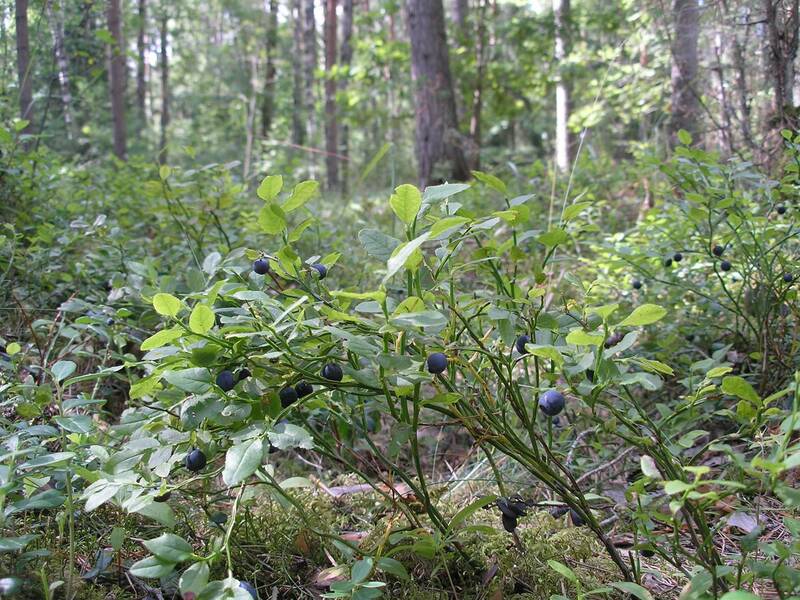 50% of Estonia is covered by forest. For many Estonians going to the forest is as natural part of their life as surfing would be for people living close to the ocean like my Brazilian friends or skiing and mountain biking for the Swiss. A walk in the snowy forest on a sunny day is a bright relaxation, but a walk in summer or in autumn will fill your stomach in addition to having a good walk and an abundant breath of totally fresh air. 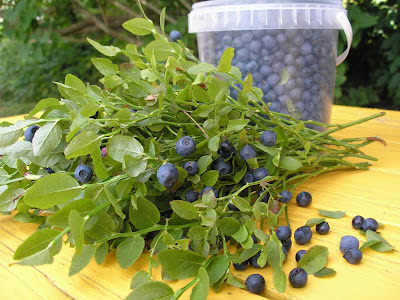 ﻿﻿﻿During my holidays in July I went to pick blueberries 5 times and got my oxygen dosis. I would add that the trip to the forest in our case is driven by the excitement and undertaken with a lot of enthusiasm, more so than the material benefit that may come with it. My Dad has so to say prohibited my Mom to make any more jam as there is enough already. In some years the crop is poor, but as long as you can eat some then and there the trip has paid off. 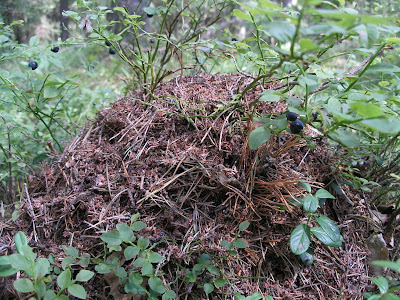 That´s as fresh and natural a mouthful as it can get.In the past the berries were made into jams or other preserves. Blueberry jam is a must in the home medicine store – helps with any kind of indigestion, besides being just delicious. Nowadays there is an inversely proportional change from preserves to freezing the berries in the freezer. The shelves in the cellar become emptier while the freezers get bigger. 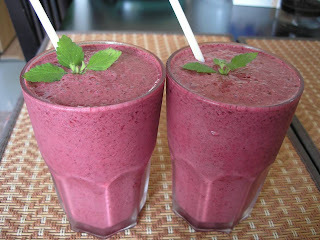 I have friends who have found a new fashionable hobby in making all sorts of fruit and berry smoothies, cocktails and iced juices.Yummie! 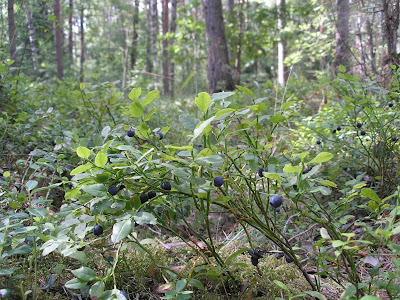 Well, three freezers of my close families were filled with the season’s blueberries from these trips to the forest. Ready for the winter. 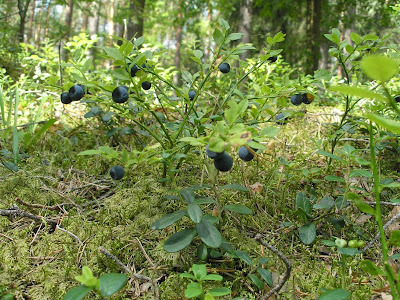 The forest blueberries make your tongue blue, the industrial blueberries don’t. In my town in Switzerland it is difficult to find forest blueberries in the supermarket frozen food department. I was recently in Munich and saw the wild blueberries, lingonberries and the chanterelles mushrooms on the market – it felt so much like home, only at about twice the price. Mix the butter with sugar using a mixer, add the egg and mix again. Add the flour and before mixing with the butter-egg slightly mix the dry flour with salt and baking powder. Mix all into a dough. Form it into a ball with your hands. If the dough is too sticky pat some flour on the dough. Cover the dough with the plastic foil and leave to settle in the fridge for ca 30 min. The dough is quite soft and lets itself to be spread on the bottom of the form. Pre-cook the dough for 10 minutes until the dough seems cooked and not raw soft sticky any more. Mix the ricotta with sour cream and sugar. Taste before adding the egg (salmonella risk!) and then mix in the eggs. Set the oven to 190 degrees C.
Put 2/3 of your blueberries on the pre-cooked dough, then the ricotta mix, more blueberries on the ricotta mix and the almond flakes on the blueberries. Bake in oven for 35-45 minutes. The almond flakes should take a slight brown colour and check the cake with a match (ricotta should not stick to the match). 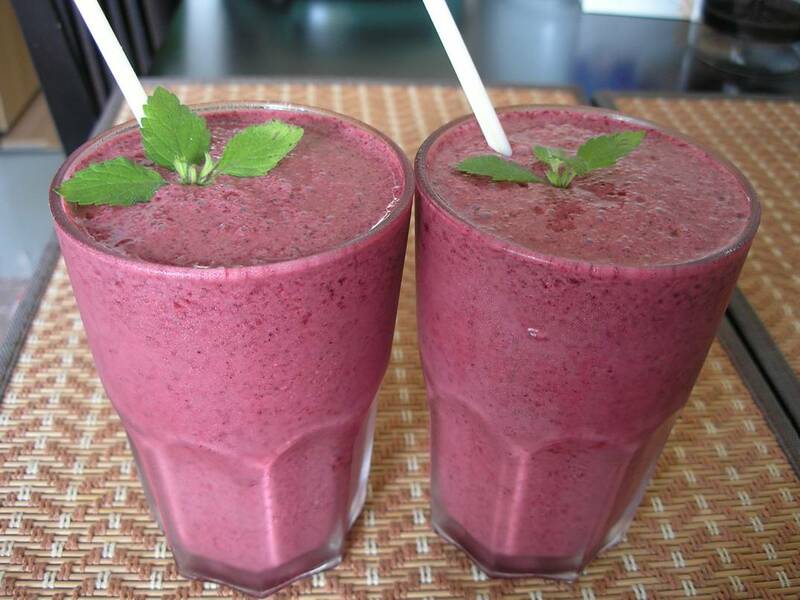 ice cubes into a smoothie. Mix well until the ice cubes have been crushed and the drink takes a nice thick consistency.